A Donkey and Goat established THE AGENCY to evangelize the value and quality of Syrah. 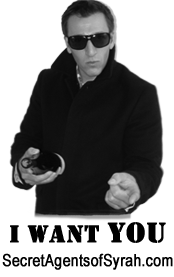 We are recruiting wine drinkers to discover the beauty of Syrah and become one of our Secret Agents, spreading the word. Check out some of	our best entries.